Ubuntu 11.04 (code named as ‘Natty Narwhal’) or any other Linux distribution, isn’t so easy to configure/customize, for a windows guy. That’s where Ubuntu Tweak will help a lot, it makes Ubuntu customization much easier. Ubuntu 11.04 got new desktop – ‘Unity’ as the default desktop, which is probably difficult to customize as compared to Gnome 2.3 (or may be Gnome 3.0), that’s why this post will help you in installing that small application (or tool or utility) – ‘Ubuntu Tweak’ Latest version 0.5.10. Ubuntu Tweak is a free and open source application, that will allow you to explore new options and settings in Ubuntu, that you don’t get with Default Desktop Environment (GNOME or Unity or KDE). 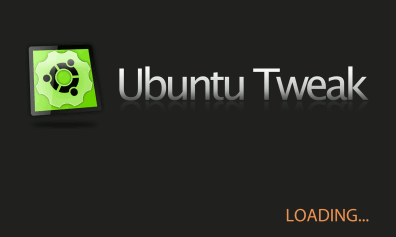 #1 : Download the Application – Ubuntu Tweak from it’s website. #3 :That’s all..if any dependencies problem occurs, like python < 2.7, then reinstall the Python version >= 2.7. Why on earth are you installing a package in Ubuntu by downloading it and installing through dpkg? Thanks Tom, for your nice suggestion..
why is that the “correct” way, you do relies that apt uses dpkg to install applications onto the system right? So there for by just manually downloading the file and then running dpkg you are in sense doing the exact something as just letting apt download and install it for you, the only difference is you don’t need to add the repository to apt. Because then you have the repository and you will get updates offered to you when they appear in the repository, rather than having just the one version and hoping it won’t get updated (or worse, have security vulnerabilities). Manually installing packages is something ancient, from the 90’s, and you shouldn’t do it. Always add a repository to your apt and install through apt, that’s the modern way of doing things. Is much better Thanks Tom!